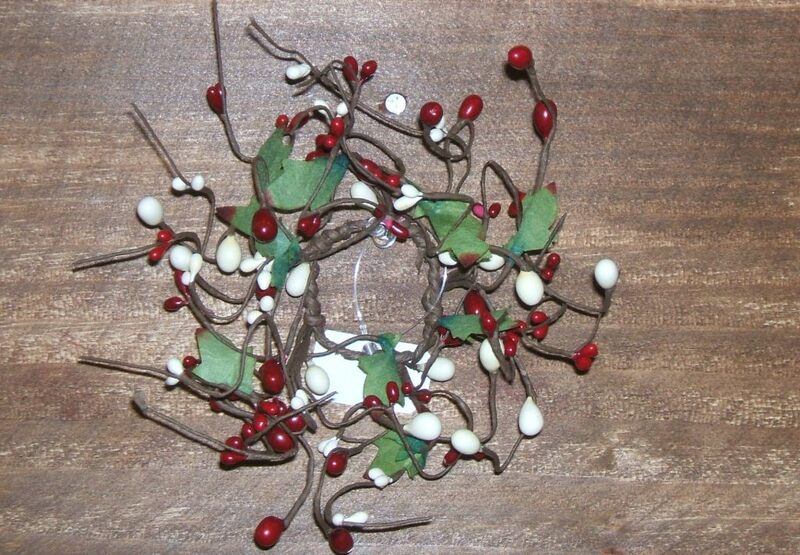 With its wispy wired twigs holding the various sizes of berries, the 1" Candle Wreath allows you to arrange the berries into the form you choose. Open it wide for lots of airiness with the berries seemingly suspended in mid-air. Bunch the berries and leaves more closely together for a stronger color impact. The 1" size is a good fit around chandelier candles, taper holders or as napkin rings.